Hopefully, the answer to this can be “none,” if you had professional maintenance done before summer began, and took care of any repair needs you had at that time. But even with a tune-up (and especially without), there are some Salt Lake City HVAC repair needs you should watch out for as we inch closer to fall and prepare to turn off our cooling systems until next year. 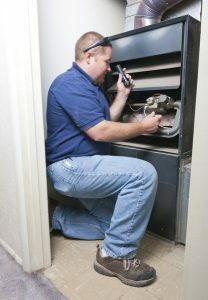 There are a few repair needs in particular that HVAC technicians see more than others. This is especially true near the end of summer, when your cooling system has been putting in work day in and day out. What Kind of Shape Is Your Heater in? We’ve officially entered the coldest time of the year here in Salt Lake City, with chillier temperatures still to come. That being said, you’ve likely already been using your heating system on at least a nightly basis, if not already 24/7. Hopefully, you’ve already scheduled or had heating maintenance completed. But of course, even with careful attention, a heater can still experience problems, particularly if it is aging. But how do you know if your heater is functioning to the best of its ability, or if it needs Salt Lake City, UT HVAC repair services? We’ve shared a few indicators of a heater in need below. If you suspect or experience any of the following issues, be sure to give our staff a call right away! Posted in Uncategorized | Comments Off on What Kind of Shape Is Your Heater in? You may not be ready for summer to end, but this reticence on your part will do nothing to prevent the onset of winter in just a few short weeks. With this in mind, it is in your best interest to schedule your heating installation or replacement services before the winter season can really get underway. Our technicians are only to get busier the closer heating season comes. If you are serious about enjoying reliable, consistent heating in Salt Lake City, UT, then schedule your heating services with a member of our staff. Design Comfort is here to ensure that you have the right heating system in place for your needs. Everyone wants to make their Salt Lake City home more energy efficient, it not only saves you money but it also makes your home more environmentally friendly. 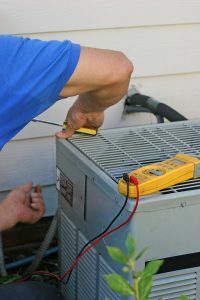 Upgrading your Salt Lake City HVAC equipment is a great place to start, but it can be hard to decide what to do first. How much do you spend on energy? Paying attention to your energy bill from month to month is very important. A sudden spike could indicate a problem with your Salt Lake City HVAC system or other appliances in your home. If you start trying to embrace an energy efficient lifestyle, your energy bill can help you keep track of how well you are doing. Are there benefits to this upgrade? In addition to being energy efficient, you should discover if there are any other ways that a change can benefit your home. For instance, a new air conditioner could make your home more comfortable, or zone control could make it easier to keep every room in your home the desired temperature. You’d be surprised how many energy efficient upgrades can really improve your whole home and not just your energy bill. Budgeting is never fun, but it’s important step to figuring out what you should change first. While it would be great to replace your air conditioner and furnace for ENERGY STAR rated models, it’s a big investment. You can try the little things first, like improving you insulation, repairing air ducts, and sealing air leaks. After you have saved up and improved other parts of your home you can work on replacing your HVAC equipment. Improving the energy efficiency of your home will make it more comfortable and lower your utility bills. If you have any questions about energy efficient upgrades you can make to your home, call Design Comfort Heating & Air Conditioning today! Every year millions of Salt Lake City homeowners buy a new HVAC system for their home. Whether for heating, cooling or air quality, they make a huge investment in a new system that will be with them for years to come. Unfortunately, many of those people make big mistakes when buying their next system, so to help you avoid doing so, here are some simple things you should not do. Ignoring Air Quality – Air quality is about more than comfort. It affects the health of everyone in your home equally. Consider it carefully when installing a new system. Avoiding Even Heating and Cooling – One room being cooler or warmer than another is not okay. It’s bad for your system and bad for your home’s comfort level. Have insulation and ductwork checked before installation of a new HVAC system. Not Upgrading Your AFUE or SEER – New systems are highly efficient. Take advantage of that by buying one with a higher AFUE or SEER rating. Not Vetting Your Contractor – Always spend time checking up on your contractor, reading reviews and asking other customers how their experience was. Skipping the Service Agreement – Service agreements save money and help your system last longer. Don’t skip them. Buying the Cheapest Option Available – It may be tempting, but a cheap HVAC system is a bad idea if you want it to last and save you money in heating and cooling. Even a midrange system will save you money in only a few years with higher efficiency ratings. Picking the Same Model You Already Had – New models are stronger and more efficient. When possible, get an upgrade and your bills will reflect the difference. Waiting too Long to Buy – The longer you wait, the more you pay in heating and cooling bills for an old, worn down system. If you know you’re going to buy a new system, act fast to save the most possible money. Not Asking Questions – If you have a question, ask it. There is no such thing as a stupid question when looking for a new HVAC system. Ignoring Maintenance Recommendations – Maintenance recommendations are optional but almost always to your benefit. Research on your own before committing to anything, but don’t ignore the necessity either. If you do things just right, your new HVAC system will last for years to come and provide steady, comfortable heating or cooling throughout that time. But, if you rush through things, make a hasty decision and neglect to do any research, you may have issues with your system in far less time than you’d like. Be smart and you’ll be rewarded. How Can I Be Sure My Home’s Air is Safe? There are many ways to ensure your home’s air is safe to breathe, but the easiest is to have it tested regularly and to use proper filtration and ventilation. However, there are a lot of different filtration methods, so here are a few known to work best. If you have pets or a lot of plants, air filters are a great idea because they remove most of the larger particles that get into our air supply. This includes things like pet dander, pollen, mold, and other particles like dust. If you have allergies or someone in your home has asthma of any kind, this is the best way to be sure they don’t breathe anything they shouldn’t. Air filtration is also very simple to install and inexpensive to maintain. Just be sure you opt for HEPA air filters. They are the best on the market and are certified to capture much smaller particles than any other filters, plus they tend to last quite a bit longer. For big time air cleaning, you want to go with an electronic air purifier. These machines will actually ionize the air in your home to separate out smaller particles such as gas, smoke, or pathogens like bacteria and viruses. They can also capture some larger particles like mold and dust mites. The key to effective air purification is to use it in conjunction with a good air filter. Also, consider the use of a good UV filter with your air purifier. UV filtration can be installed in your air ducts or vents to kill any unwanted pathogens as the air is circulated. The final step is to make sure your air stays clean. Get detectors for big time contaminants like radon and carbon monoxide but also have your air quality tested every year or two to check for high levels of other contaminants. If you have filters and ductwork, make sure they are cleaned regularly. Filters must be changed on schedule or they simply won’t work as intended. You should also maintain a powerful ventilation system that will keep a steady supply of fresh air coming into and out of your home. An energy recovery model is best to minimize heat and cooling loss from your comfort system. Overall, your air quality can be maintained year round with a close eye to the maintenance of your equipment and regular testing. Posted in Uncategorized | Comments Off on How Can I Be Sure My Home’s Air is Safe? Do I Need Surge Protection for My HVAC? You probably know that to keep your HVAC system in good working order you need to keep up with regular maintenance. This includes things like changing air filters, cleaning out air ducts and clearing debris from both inside and outside the system. Surge protection for your system may not be something you think of immediately, but like those maintenance tasks, it’s an important part of keeping your equipment functioning properly over time. Surge protection essentially shuts off your system in the event that power levels in the system rise suddenly and unacceptably. When a sudden increase in electricity occurs, any electronic device is at risk. But, unlike your stereo, your HVAC system costs thousands of dollars – no one wants to lose something so valuable to a surge that could have been prevented. That’s why a surge protector is so vital for your system. The surge protector monitors the levels of electricity coming into your HVAC system. In the event that a surge occurs for any reason (faulty wiring, a lightning strike, etc. ), the surge protector will immediately cut off power to the HVAC unit and shut all of the equipment down. Your HVAC system was not an impulse buy. This is a collection of equipment that you probably spent a good deal of money on and that you rely on to keep your family comfortable throughout the year. When you look at it that way, it’s easy to see why it’s worth doing anything you can to protect your investment. Installing a surge protector is a relatively minor expense compared to the money and inconvenience it could save you by preventing serious damage to your HVAC equipment. Once a surge protector shuts off your HVAC system, you’ll need to restart it properly. The best thing to do is talk to the contractor who installs your system. They can walk you through the restart process step by step to ensure you know exactly what to do. After going through all that trouble installing a surge protector, the last thing you want is to make a mistake when turning it back on. If you don’t already have a surge protector in place, call an HVAC professional today and learn what your system needs to be fully protected. It’s a small expense and a quick installation, so there’s no reason to put it off any longer. Posted in Air Conditioning | Comments Off on Do I Need Surge Protection for My HVAC? My HVAC System Has a 10 Year Warranty – Why Do I Need a Maintenance Agreement? While every new furnace sold comes with a limited 10 year warranty for the unit and parts, it is a good idea to supplement your warranty with a more complete maintenance agreement with your HVAC provider. Why pay for a secondary maintenance plan when you already have a warranty? For the most part, the limited warranty provided by the manufacturer is meant to cover things like faulty parts, abnormal breakdowns or recalls. If your system simply needs to get a checkup because you use it a lot or there is a clog that isn’t caused by the actual furnace or air conditioner, you will likely end up paying the maintenance cost. So, by paying for an upgraded service plan, you cover all potential breakdowns and you’ll never again need to worry about your system. It’s like getting the upgraded warranty for a new car that covers everything from a busted crankshaft to old windshield wipers. Another benefit of a maintenance agreement for your HVAC system is that the system lasts longer when it is regularly maintained. The best maintenance agreements come with unlimited checkups and service visits, any day of the week, any time. So, if you think your system is running poorly, call a professional in to check it out and it won’t cost you anything. The ability to do this will ensure your HVAC system lasts significantly longer than if you were forced to wait until you could afford an extra visit from your repair man. So, not only do you ensure your system keeps working, you add a lot of valuable years to its lifespan. Imagine how much money you’ll save if your furnace or air conditioner lasts for 20+ years instead of just 10. Any breakdowns after the 10 year mark would require hefty repairs or replacement since your warranty is expired. So, it’s in your best interest to keep your system running smoothly throughout its lifespan. Ultimately, an HVAC system is only as good as what you put into it. If you’re careful about your investments and are willing to spend a little extra now, you’ll stand to benefit far more in the future from a smoothly operating, efficient heating system. Posted in Energy Savings | Comments Off on My HVAC System Has a 10 Year Warranty – Why Do I Need a Maintenance Agreement?